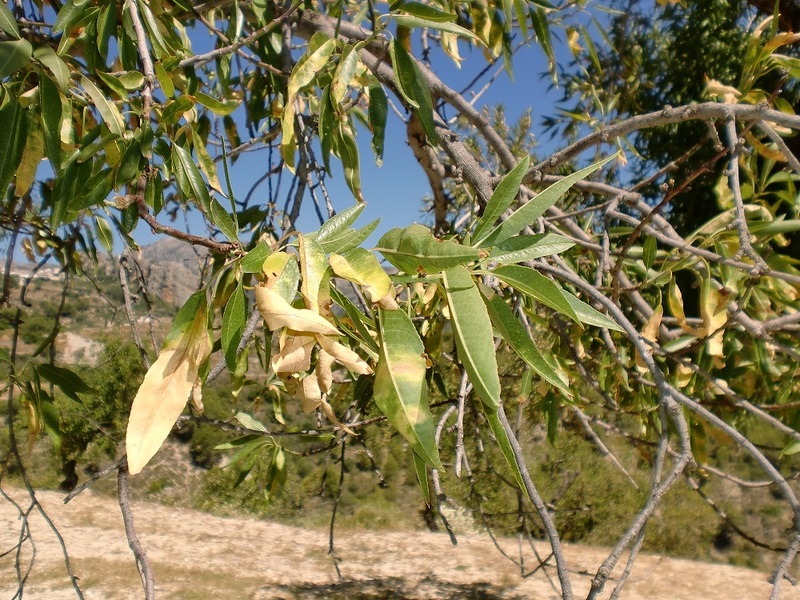 On June 30, the Regional Government of Comunitat Valenciana (Conselleria d’Agricultura, Medi Ambient, Canvi Climàtic i Desenvolupament Rural) confirmed the presence of Xylella fastidiosa in an almond orchard in Guadalest, a municipality of Marina Baixa district in Alicante Province. 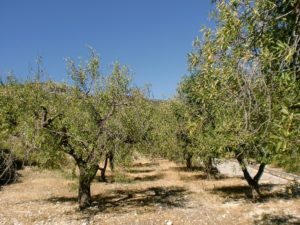 This almond orchard was already surveyed by the Plant Health Authority of Comunitat Valenciana in December 2016 during the course of official inspections for X. fastidiosa, but with negative results. A subsequent analysis yielded inconsistent results and finally in June 22 samples were positive for X. fastidiosa. These results were later confirmed on June 29 by the Spanish National Reference Laboratory for Phytopathogenic Bacteria at Instituto Valenciano de Investigaciones Agrarias (IVIA). This finding has been officially communicated to the Ministry of Agriculture, Food and Environment, which is the National Plant Protection Organization in Spain, the European Commission, as well as to the neighboring Autonomous Regions. 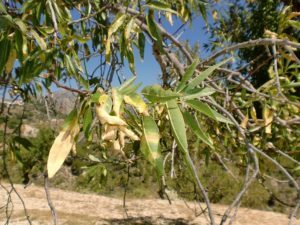 The Plant Health Authority of Comunitat Valenciana sprayed the affected orchard and others in a 100 m radius with insecticides for vector control. To comply with the Commission Implementing Decision (EU) 2015/789, all plants of listed species within the 100 m radius are being removed. 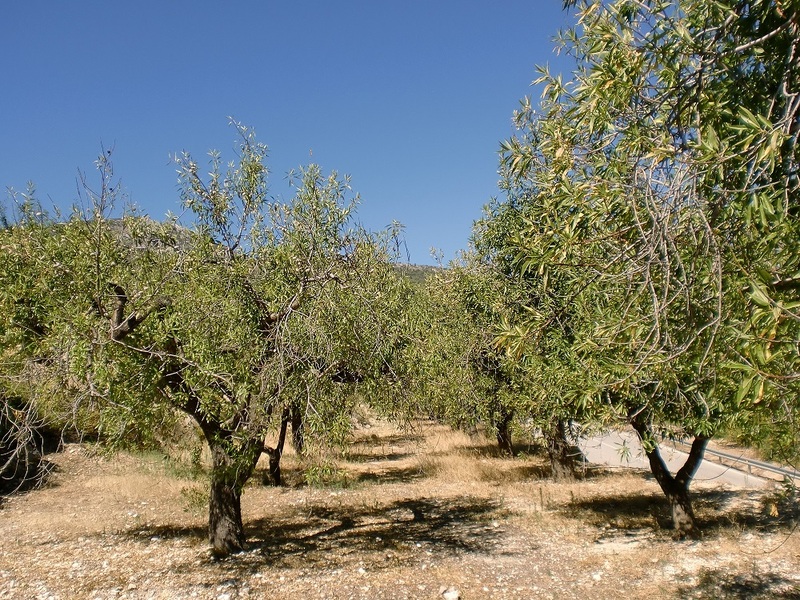 Additionally, intensive surveys for X. fastidosa are being conducted in a radius of 10 km from the affected orchard as well as in neighboring districts. A demarcated area of 10 km has been declared around the affected area, where strict measures have been imposed to avoid the movement of plants from nurseries and garden centers.